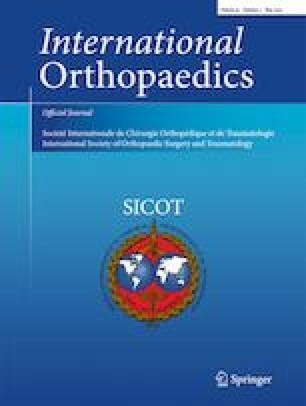 This study aimed to investigate the radiographic outcomes, rate of redislocation, and avascular necrosis of proximal femoral epiphysis (AVN) in patients aged 24 to 36 months with developmental dysplasia of the hip (DDH) treated by closed reduction (CR) and spica cast immobilization in human position. We reviewed the medical records of 39 patients (51 hips) aged 24 to 36 months with DDH treated by CR and spica cast immobilization in human position. The Tönnis grade, rate of redislocation and AVN, acetabular index (AI), centre-edge angle (CEA), and Severin radiographic grade were evaluated on plain radiographs. Among the included 39 patients (51 hips), 15 hips (29.4%) were Tönnis grade II, 24 hips (47.1%) were grade III, and 12 hips (23.5%) were grade IV. In 47 hips (92.2%), the ossific nucleus was present at the time of CR. Stable reduction was achieved by CR in 39/51 hips (76.5%) and redislocation occurred in 12/51 hips (23.5%). Among the 12 hips that redislocated, 11 underwent open reduction and one repeated CR. Two out of 40 hips (5%) treated by CR developed AVN. Overall, 54.6% of the hips had satisfactory outcomes (39.2% Severin type I and 17.6% type II), while 45.4% had unsatisfactory outcomes (39.2% Severin type III and 3.9% type IV). Of the 40 hips treated by CR, 57.5% and 42.5% of cases had satisfactory outcomes and residual acetabular dysplasia, respectively. Six out of 11 hips (54.6%) treated by open reduction and pelvic osteotomy had satisfactory outcomes. Our study showed that stable CR could be achieved in 76.5% of patients aged 24 to 36 months with DDH at the time of index procedure. Satisfactory outcomes can be expected in 56.4% of the cases (5.0% AVN rate), although late acetabular dysplasia may develop in 43.6% of the hips. YiQiang Li, YueMing Guo, XianTao Shen, Hang Liu and HaiBo Mei contributed equally to this work. All procedures were performed in studies involving human participants were in accordance with the ethical standards of the institutional and/or national research committee and with the 1964 Helsinki Declaration and its later amendments or comparable ethical standards. No patients were involved. This is a retrospective study of patients’ data, and an IRB approval was obtained (GZWCMC 2015020904).